He came over to the US from Germany in 1997 literally with 2 suitcases and a bunch of student debt and Prior to the year 2000 Jack had never been involved in Real Estate and did not know anything about that subject. If a person from another country, with broken English, No Money, and a Bunch of Student Debt can do this, then YOU CAN TOO! 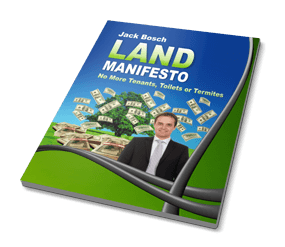 Jack started in Real Estate investment in 2000 and over the course of 3 years developed and perfected an investing system that allowed him to do 3,137 deals, making millions of dollars in the process. He has done deals all over the U.S., without even looking at most of these properties. His students are now doing deals in the US while living all over the world. Because of Jack’s sincere desire to help others achieve their dreams he recently started sharing this unique system with the public. And NOW he’s going to share with us EXACTLY how he got out of debt, and was able to quit his job, as he became a Millionaire in just 18 months! Jack breaks down what you need to do into simple pieces: get 2 seller financing deal done per month for 1 year and you replaced the Average American Family income for a full 8 years. And then, get 4-5 done per month and you are DONE in 5 months. 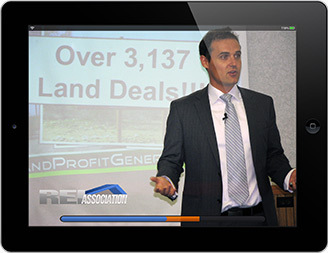 In this 4 part 2+ hour LIVE Main Event™ Jack shares how he did this and his unique way of investing in real estate.